Brock Lesnar vs Shane Carwin UFC 116 Video Promo | MMA Fighting Events Videos Techniques UFC Fight Picks and News. Brock Lesnar vs Shane Carwin facing off in UFC 116 is going to be a big fight, literally. These two fighters are most likely going to be cutting weight to make the 265 pound heavyweight limit. This means that by the time it's time to start throwing chingasos, they're both going to weigh in upwards of 280 lbs. It's not only a big fight due to the weight factor, Brock Lesnar and Shane Carwin have demolished the competion, ending their fights early. It's time to see who's going to be King Kong and rule the heavyweight class in the UFC, and MMA for that matter. 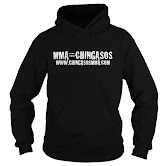 Check out the preview video and get ready for UFC 116.